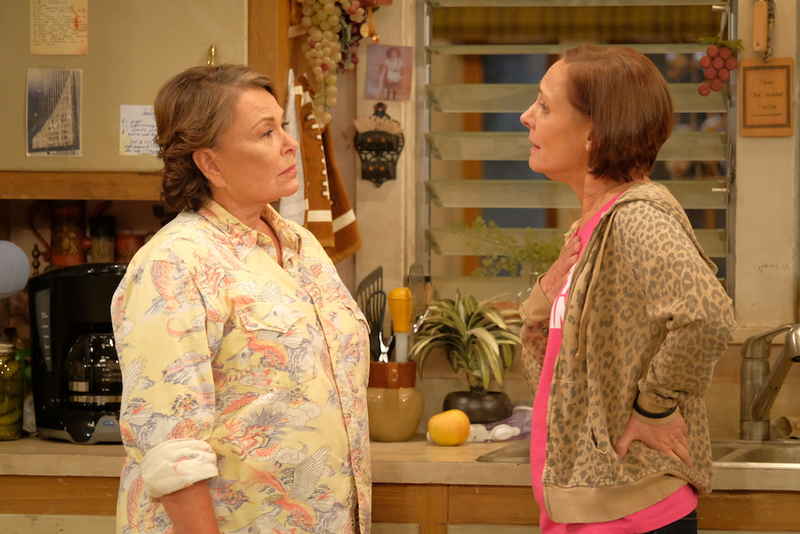 Roseanne Barr and John Goodman return to the small screen in a rocky revival that's only consistent in its lack of good jokes. In an ideal world, the new “Roseanne” could exist on ABC as the conservative-leaning voice of low-income Americans, especially as a counter for the far left, uber-wealthy Pritchetts on “Modern Family.” Over the past decade, America’s Broadcast Company has made it a point to build off its Emmy-winning ratings behemoth, spawning an array of family comedies that highlight the diversity once boasted within that lone, growing, L.A. lineage. In 2018, the new families have qualitatively surpassed their inspiration: “Black-ish,” “Fresh Off the Boat,” “Speechless,” and “The Goldbergs” are all among the elite family comedies — if not all comedies — on television. But the new “Roseanne” doesn’t try to carve a spot in the existing landscape so much as it lazily settles into comfortable grooves in a very old couch. Sure, it will shout about making America great again and title an episode “Netflix & Pill.” There are honest discussions about health care and what working families have to do to survive these days. One half-hour of the three screened for critics does a better job than the rest in that department, but it doesn’t try all that hard to pull everything together; it’s happy to tell it like it is and leave it at that, just as the series only occasionally bothers to get off the couch and find relevancy. From a fan’s viewpoint, some of “Roseanne’s” appeal comes simply from saying hello again to friendly old faces. Nostalgia is a crutch leaned on time and time again in these revivals, be it David Duchovny and Gillian Anderson running with flashlights or Eric McCormack and Debra Messing excitedly bickering, but how long can it last when the cast isn’t all that into what’s going on? No one seems particularly excited to be back, and the only actors who bring their A-games are the ones who’ve been working regularly — and well — for the last 20 years: John Goodman and Laurie Metcalf remain a gosh darn delight, and Sarah Chalke does her damnedest, too. Metcalf can milk a gleeful chuckle out of the most arcane sitcom joke. (Evidence: a scene where Jackie pretends to know something by immediately repeating what an authority figure says.) Goodman is lively, making unprompted googly eyes for the hell of it or clapping with his elbows to make an unspoken point. He’s fun, and whether that’s because he’s bolstered by Dan’s return to the living or bored with the material he’s given, it doesn’t really matter. Goodman stands out for the right reasons, while his onscreen partner is largely noticeable for the wrong ones. Barr is early on her reactions and slow with her delivery. The character that bears her name and legacy isn’t as sharp as she needs to be, even when she’s called on to be purposefully slow. (Drunk Roseanne is as comedically off-kilter as sober Roseanne.) Much of the plot plays to her advantage: She and Dan are getting older, but it’s not her age that keeps the comedian from sparking. Every so often, Roseanne laughs the way she does in the original opening credits — with an uncontrollable passion that speaks to her love of family and life — so we know it’s there. But a similar charisma is mostly absent from her performance here. Not even storylines focusing on Barr’s (and now Roseanne’s) much-discussed political leanings can rile her up enough to make the dialogue properly cantankerous. The first episode digs into the Trump of it all by pitting Roseanne against Jackie, with the former explaining that our Cheeto-in-Chief promised jobs and to “shake things up” while his unnamed opponent was a “liar, liar pants on fire.” Jackie gives almost as good as she gets, but only because neither is actually trying to have a debate. They’re just tossing insults that double as jokes, except they forget to freshen up the material. In the end, nothing is reconciled other than their relationship, as the show backs off its controversial talking point (without ever making one) for the sake of a smooth-running show. Well, what’s left may be easy, but it’s far from smooth. “Roseanne” still needs to iron out exactly what it wants to be: It’s a sitcom that can’t sustain itself on the situations presented or the comedy within them, nor does it effectively blend the two. If the show wants to dig into health care and jobs, it needs to do so in ways that start conversations instead of ending them. Through three episodes, “Roseanne” is too inconsistent to warrant a slot in ABC’s family lineup, let alone the rest of television. It feels like another couch potato that’s ready to birth more couch potatoes, and that’s not a revival worth watching. Heck, that’s not revival at all. 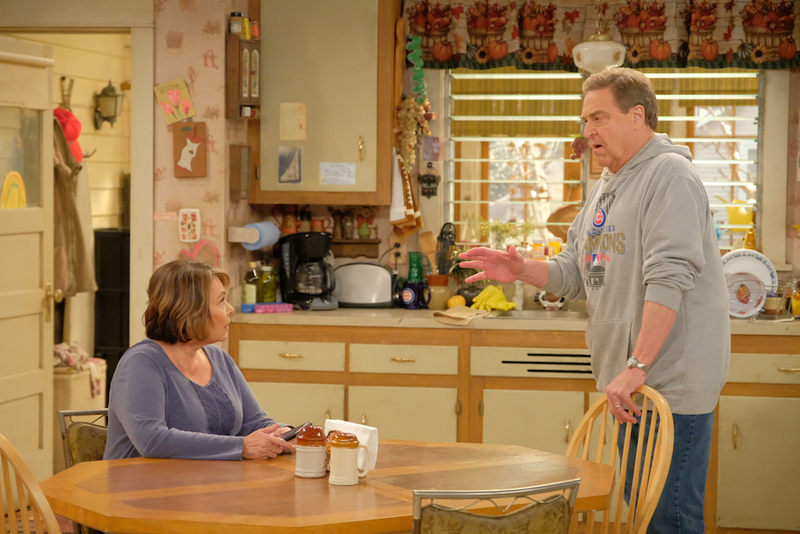 “Roseanne” Season 10 premieres Tuesday, March 27 at 8 p.m. on ABC.